This is a very good look at the changing fortunes of Venice Beach California through the lives of the roller dancers who put it on the map. Originally the only coastal section of Los Angeles where blacks and Mexicans could go to without getting into trouble the area became home to a thriving community of men and women who danced on roller skates. These untrained skaters and dancers were doing moves that impressed everyone who saw them. As word spread the legend of Venice Beach began to grow. The skating began to influence popular culture and people with money and political clout turned their eyes on the beach and gentrification appeared on the horizon and the people who brought the world to the beach were kind of pushed out..
A solid look at a now largely forgotten time ROLLER DREAMS brings their stories back from the abyss. That may sound hyperbole but you have to realize that much of what came out of Venice Beach was absorbed into popular culture. Its hard, even for someone who saw it all was over mainstream media, to realize that there was a time when you didn't dance on skates, or move, on or off skates, the way these dancers did and people do now. The film''s strength is that the film follows the lives of the various people through the changes to now. We get to really see how life treated them over the years and how they drifted apart but always held on to the glory times. The result is a very touching and moving film that is much more complex than you might suspect. 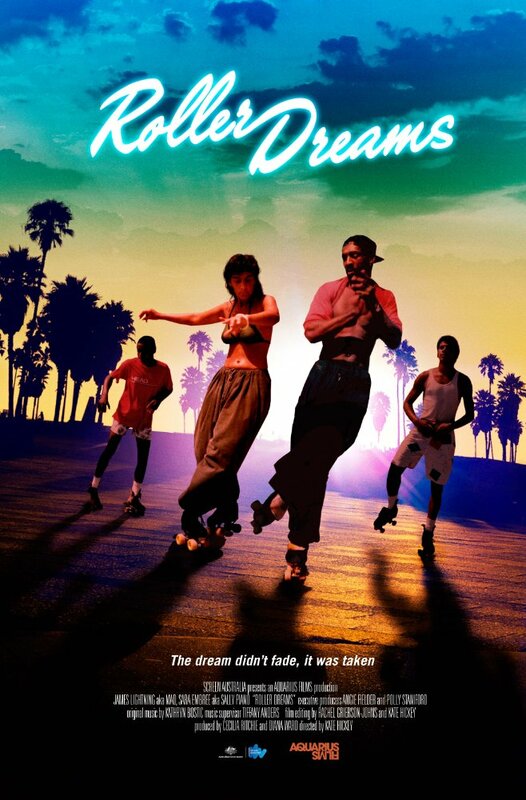 ROLLER DREAMS is a film that will make you go wow repeatedly.